My answer is: You don't. Right now I leave for work on Monday night I don't come back for four days. The oldest pug has separation anxiety and barks all night, so we had to take care of that. The vet put him on xanax. My child is old enough now to make her own lunch and we share a car pool with the lady down the hall to get her to camp and back each day of the summer. Her dad picks her up and the other two kids who live down the hall and makes sure she gets to bed on time. The laundry backs up. The pugs pee on the floor and no one notices for several days. The towels get left at camp so now we have no towels in the house. I spent 4 hours in the basement today doing laundry because I was gone all week working in Los Angeles and I live in San Diego. Crazy, yes I know. 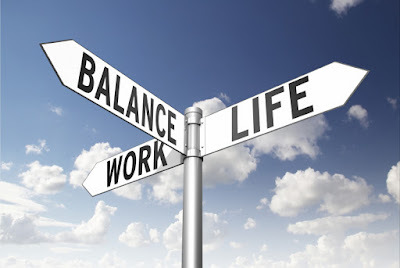 Work/life balance? What is that? This is my life and its not balanced at all but I like it. I created it.